Christos G. Cassandras is Distinguished Professor of Engineering at Boston University. He is Head of the Division of Systems Engineering, Professor of Electrical and Computer Engineering, and co-founder of Boston University’s Center for Information and Systems Engineering (CISE). He received degrees from Yale University (B.S., 1977), Stanford University (M.S.E.E., 1978), and Harvard University (S.M., 1979; Ph.D., 1982). In 1982-84 he was with ITP Boston, Inc. where he worked on the design of automated manufacturing systems. In 1984-1996 he was a faculty member at the Department of Electrical and Computer Engineering, University of Massachusetts/Amherst. He specializes in the areas of discrete event and hybrid systems, cooperative control, stochastic optimization, distributed optimization in network systems, and computer simulation, with applications to computer and sensor networks, manufacturing systems, and transportation systems. He has published over 400 refereed papers in these areas, and six books. He has guest-edited several technical journal issues and serves on several journal Editorial Boards. 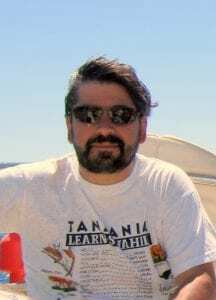 In addition to his academic activities, he has worked extensively with industrial organizations on various systems integration projects and the development of decision-support software. He has most recently collaborated with The MathWorks, Inc. in the development of the discrete event and hybrid system simulator SimEvents®. Dr. Cassandras was Editor-in-Chief of the IEEE Transactions on Automatic Control from 1998 through 2009 and has also served as Editor for Technical Notes and Correspondence and Associate Editor. He was the 2012 President of the IEEE Control Systems Society (CSS). He has also served as Vice President for Publications and on the Board of Governors of the CSS, as well as on several IEEE committees, and has chaired several conferences. He has been a plenary/keynote speaker at numerous international conferences, including the American Control Conference in 2001, the IEEE Conference on Decision and Control in 2002 and 2016, and the 20th IFAC World Congress in 2017, and has also been an IEEE Distinguished Lecturer. He is the recipient of several awards, including the 2011 IEEE Control Systems Technology Award, the Distinguished Member Award of the IEEE Control Systems Society (2006), the 1999 Harold Chestnut Prize (IFAC Best Control Engineering Textbook) for Discrete Event Systems: Modeling and Performance Analysis, a 2011 prize and a 2014 prize for the IBM/IEEE Smarter Planet Challenge competition (for a “Smart Parking” system and for the analytical engine of the Street Bump systemrespectively), the 2014 Engineering Distinguished Scholar Award at Boston University, several honorary professorships, a 1991 Lilly Fellowship and a 2012 Kern Fellowship. He is a member of Phi Beta Kappa and Tau Beta Pi. He is also a Fellow of the IEEE and a Fellow of the IFAC.